In July 2016 former hop-pickers from east London revisited the hop-gardens near Five Oak Green to talk about their ‘picking’ memories. At the same time young pickers - mainly from eastern Europe - were working on the big fruit farms nearby. The film “Foreign Pickers” (25 min) shows both groups telling their story and get together in Five Oak Green. 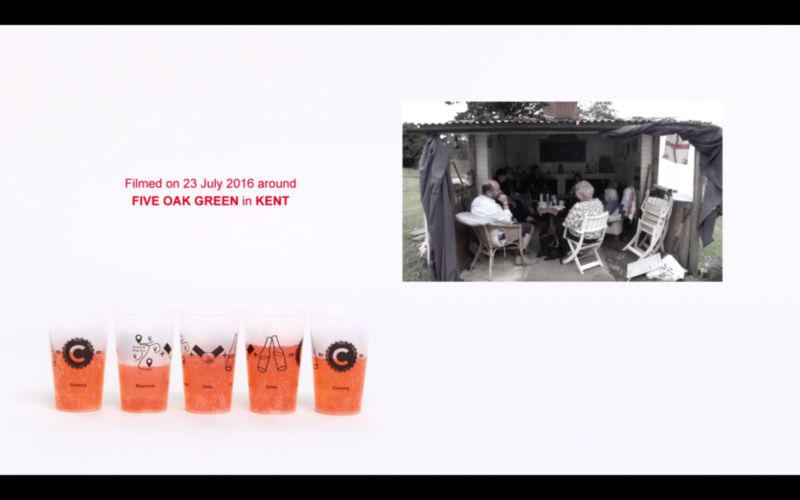 We cordially invite everyone interested to come and watch the film, and sample some of the drinks that were made from the fruit we picked together in Kent.